Stockwell Elastomerics has a proprietary coating process that allows us to make custom electrically conductive silicone pads for ESD protection. 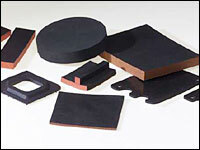 The conductive pads are available in various thickness, firmnesses and geometries. 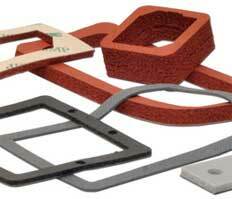 The coated silicone sponge allows for a wide temperature range without losing physical performance. The coating creates a conductive path on the surface of the material, parts can be partially or entirely coated to best suit the application. These pads are commonly used, but not limited to, the IC handling industry. The surface resistivity of the conductive coating is 20,000 Ohm-in² per ASTM D257. For applications assistance or more information about electrically conductive coated pads for ESD protection, please call Stockwell Elastomerics at 215-335-3005 or complete a contact form for assistance.